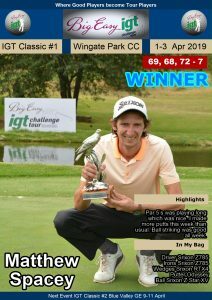 PRETORIA, 12 November 2018 – Near-perfect scoring conditions at Irene Country Club made for a feast of birdies on day one of the Big Easy IGT Challenge Tour #14, with nearly a third of the field breaking par on Monday. 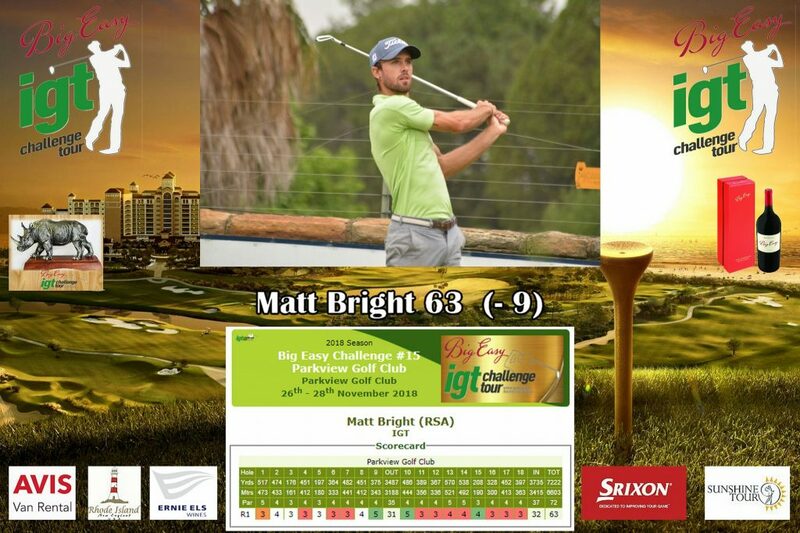 Johannesburg golfer Matt Bright made seven to surge to the summit with a bogey-free 65. 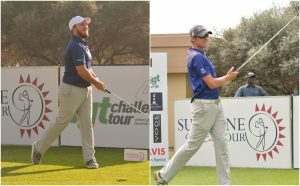 The Road to Sunshine Tour leader leads by one shot from Theunie Bezuidenhout, who offset three bogeys and a double at 16 with 11 birdies for a 66, and fellow Sunshine Tour pro Marthin Scheepers. 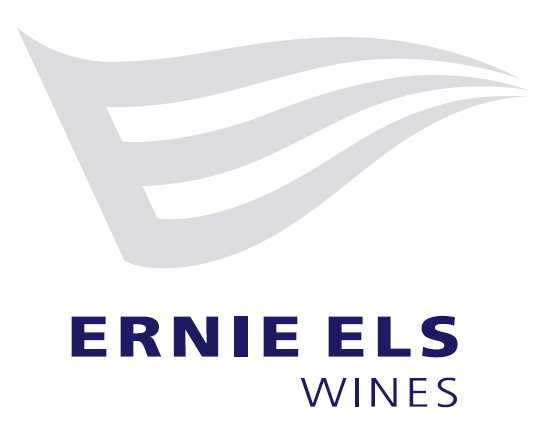 Kyle Barker, Luke Brown, Ruan Conradie, Roberto Lupini, Eric Nel and Korea’s DK Kim lurk just two off the pace, with another half-a-dozen players just a further shot adrift. 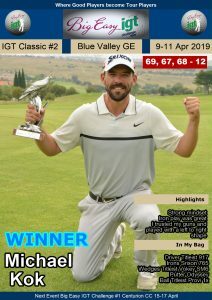 Bright is hunting his third victory on the golf development circuit this season, having run up a double in the #5 at Killarney and #6 at Centurion Country Club in July. He only made two birdies on his outward nine, but rattled off five on the home stretch. “I haven’t been hitting it well in the past couple of weeks, so I took a couple days off last week to get my head back in the right space,” said the 24-year-old the self-made owner of a shop fitting enterprise called SteelStuff. “I hit a lot of golf balls to get back in the groove and it was really solid today. I hit 10 fairways, which was very pleasing as this has been a weak point in my game. I hit it close on a lot of greens, but I missed quite a few birdie chances, especially on the front nine. “I very nearly holed my third at 10, but left it hanging on the lip and tapped in for birdie. At 13, I hit 8-iron to 15 foot under the hole and rolled it straight in the middle of the cup. That was probably my best putt of the day. “At 15 I hit 6-iron down the middle and sand-wedge to 10 foot right and made the birdie putt. I hit a huge drive at 17 and got a very big bounce down the right-hand side into the rough. I had 140 metres flag, hit gap-wedge to 10 foot and missed the eagle putt. Bezuidenhout fired a string of six birdies from the sixth and grabbed another gain at 13 to move to seven-under. A bogey at 14 and a double at 16 put the brakes on his challenge, but the North West golfer finished birdie-birdie to keep the leader in his sights. 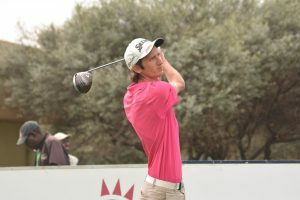 “I’m really pleased with this round, especially with the SA Open qualifiers just around the corner,” he said. 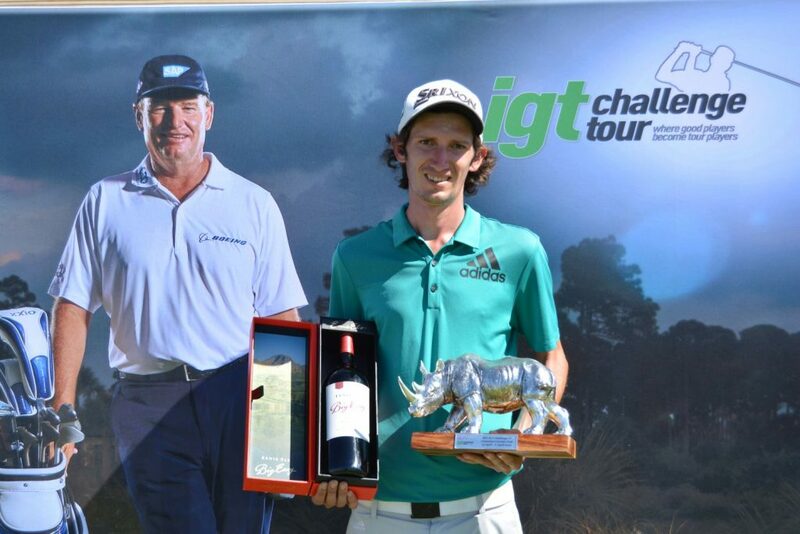 “I stuck a new putter in the bag and just really felt comfortable on the greens. “I holed a six-footer for birdie at six and hit a pitching wedge to six foot at seven and boxed that putt, as well. I hit it to 10 foot at eight and made a great up-and-down for birdie at nine. I laid up at 10 and hit gap-wedge to three foot and another great gap-wedge into 11 to 10 foot for birdie. Nearly a third of the field managed to break par, with forty-seven players in the field finishing one-under or better.